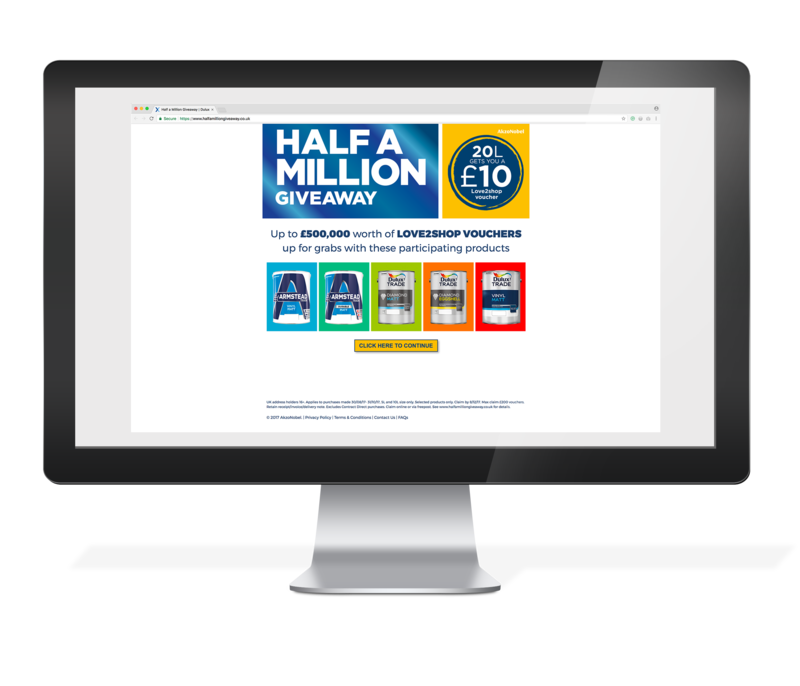 We have recently launched the site to support the Dulux Trade & Armstead Trade “Half a Million Giveaway” promotion. The site has been designed to drive loyalty among trade professionals. For every 20L of participating product registered on the site, the user receives a £10 Love2Shop voucher.